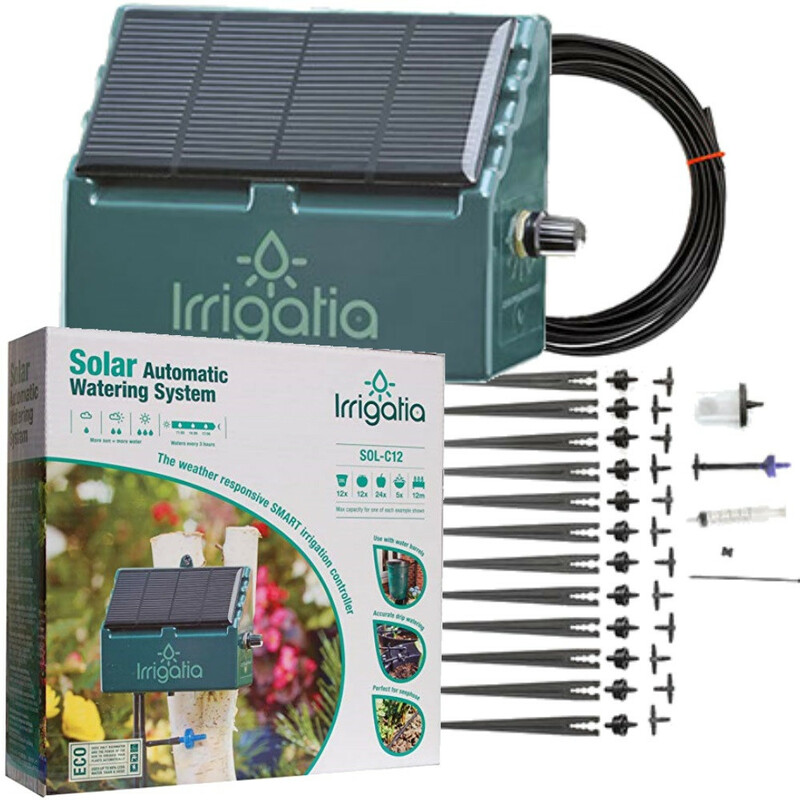 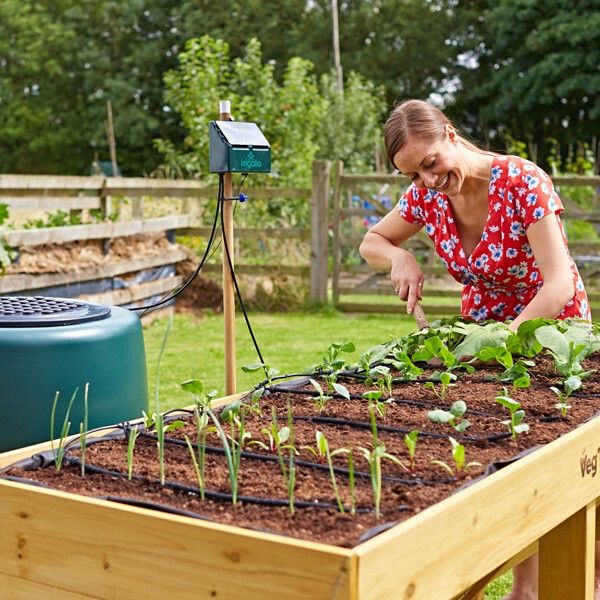 The Irrigatia SOL C12 Smart Solar Automatic Watering System features weather responsive SMART irrigation controllers that uniquely use solar power to detect the weather and alter watering according to the conditions and the season – providing plants with the precise irrigation they need to help them thrive. 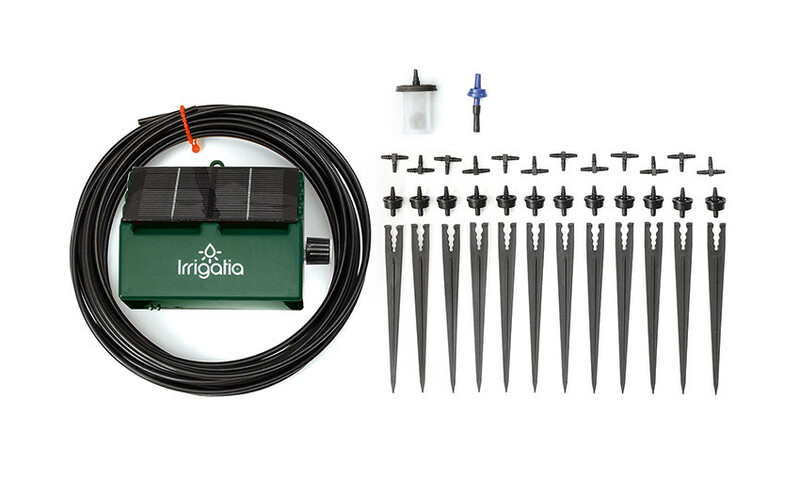 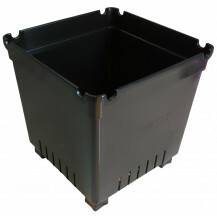 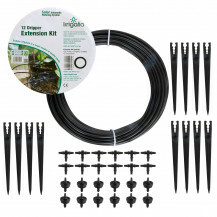 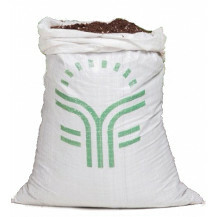 Unlike conventional timer systems, Irrigatia waters little and often, resulting in soil that stays moist. 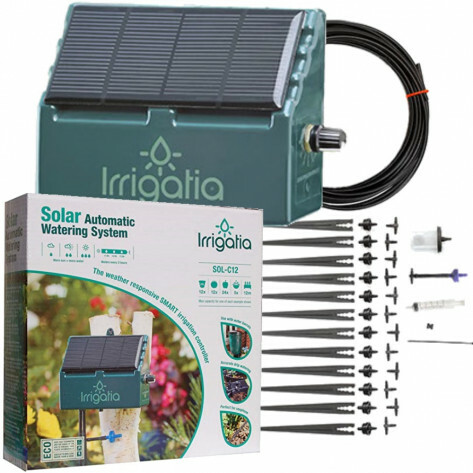 Water does not run off, saving you water. 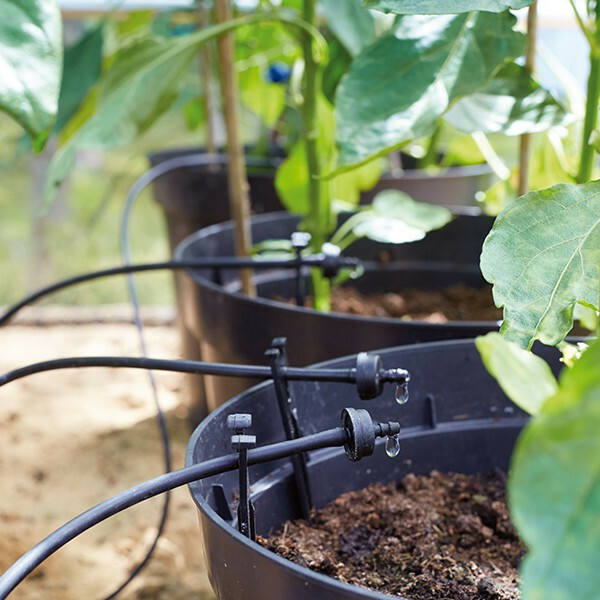 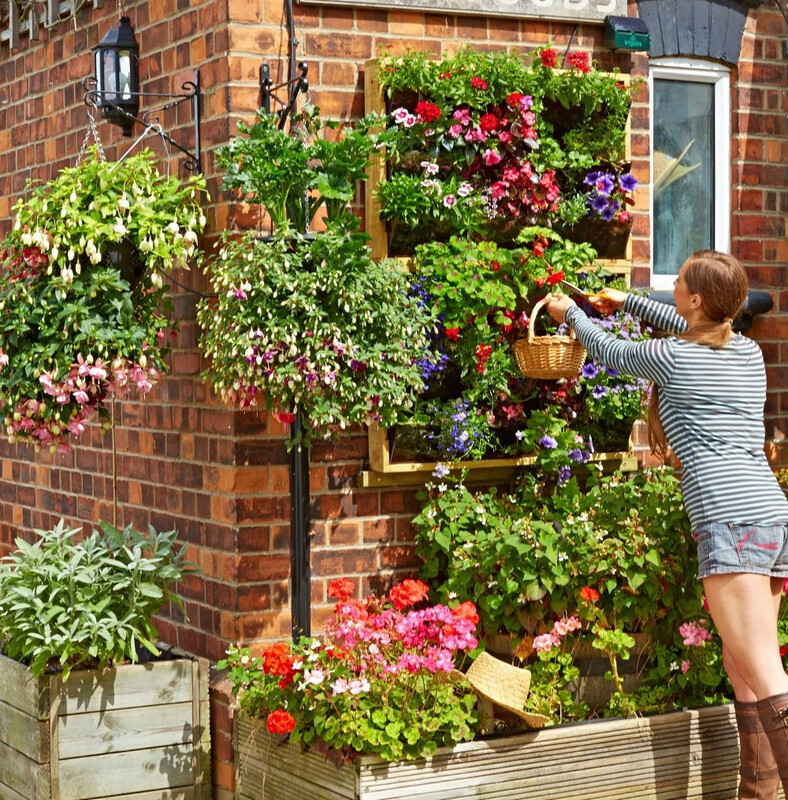 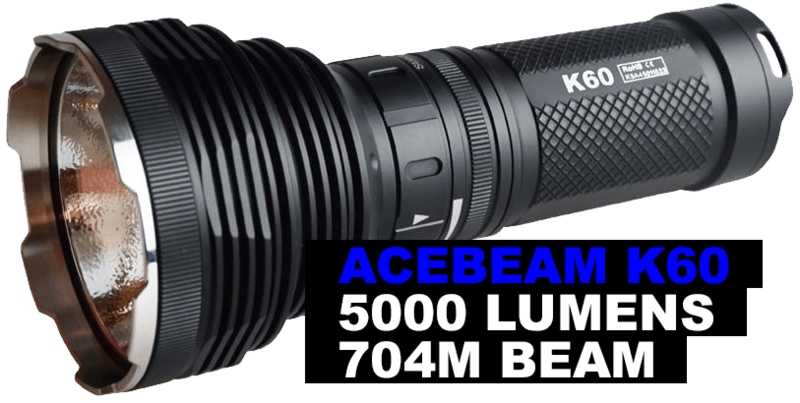 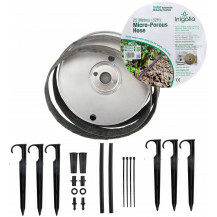 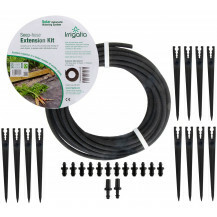 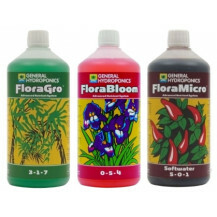 They are easy to install and set up, and once in, they will water. 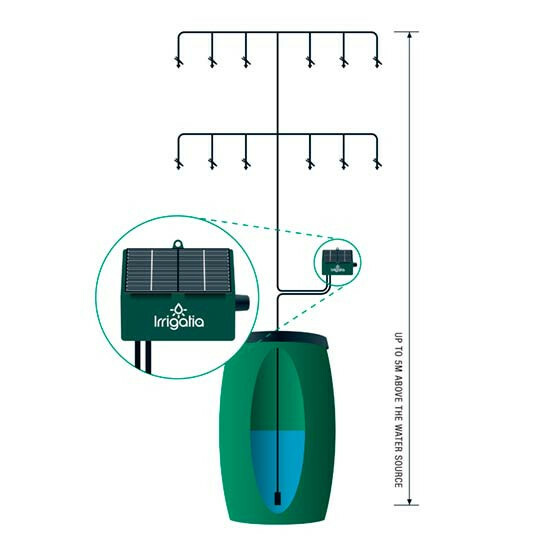 Irrigatia uses solar power to pump feed and water from your rainwater tank.